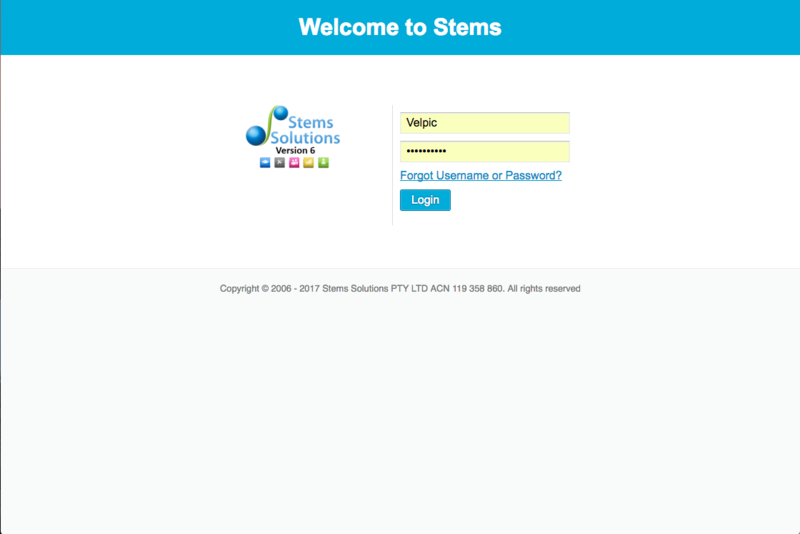 Log into Stems using your username and password. 2. 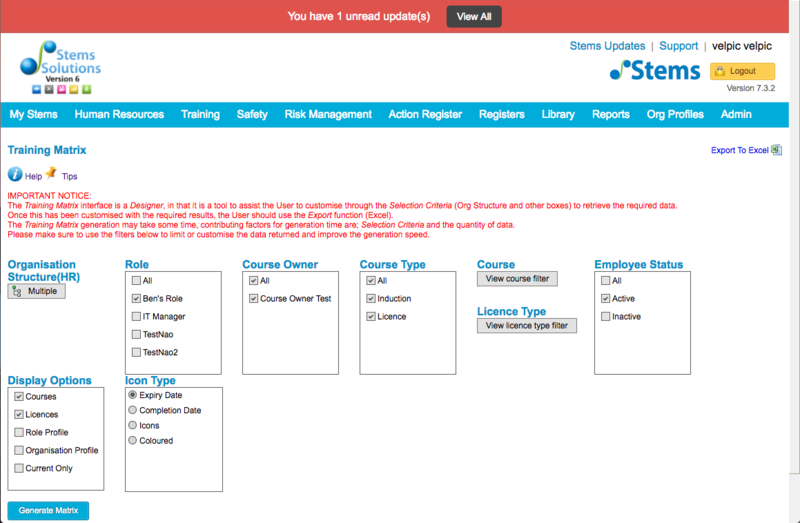 Hover over the Admin tab on the right then click on Settings. 3. 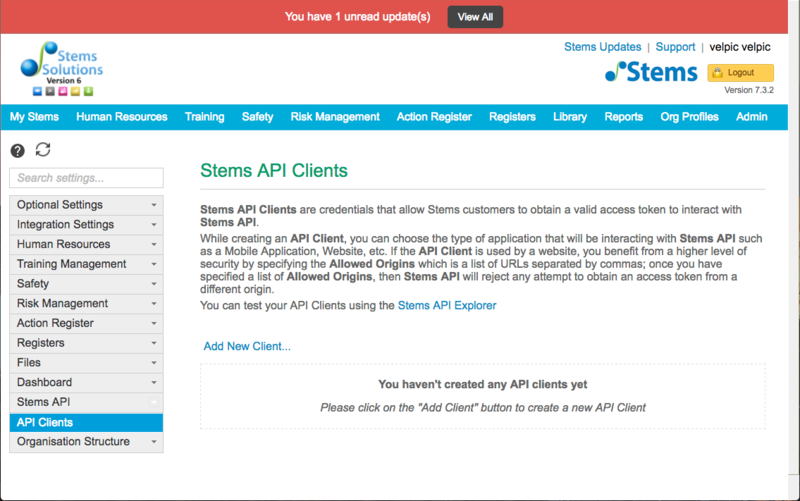 Expand the Stems API menu item on the left then click on API Clients. 4. Click on 'Add New Client...'. We use the Website type because of the extra security available by using the client secret property which is created for this type. 5. 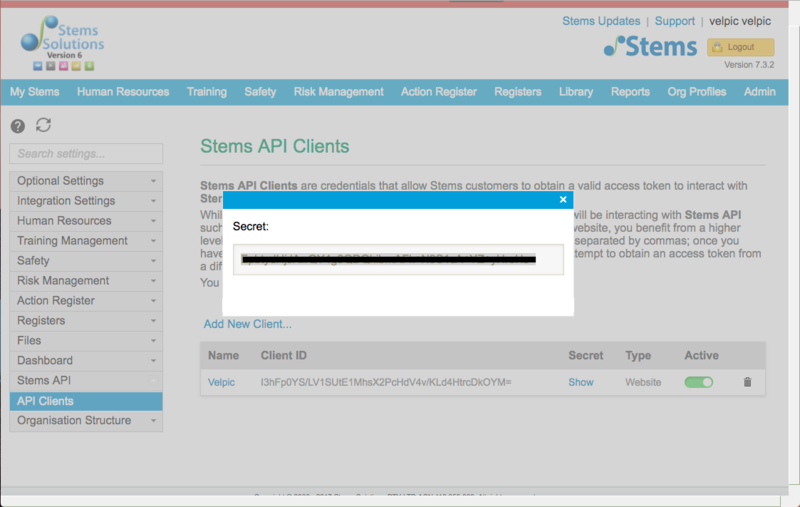 Note the 'Client ID' field, then click on 'Show' under the 'Secret' heading. 6. Note the client secret value. 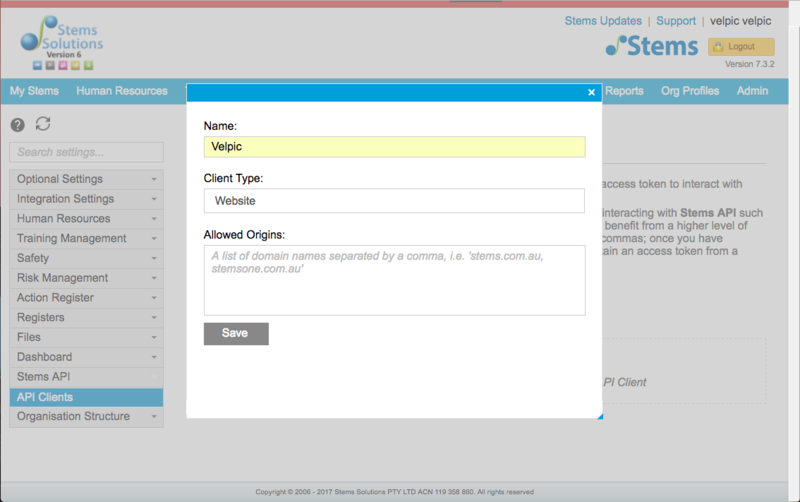 The Velpic team will then setup the Stems integration for your account. 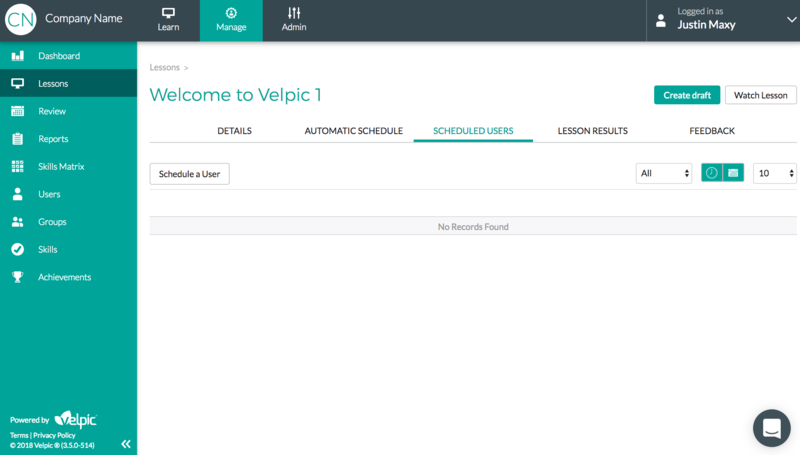 While you wait for the team to complete the integration you can prepare your Velpic users for the integration. 8. Log into your Velpic account. 11. 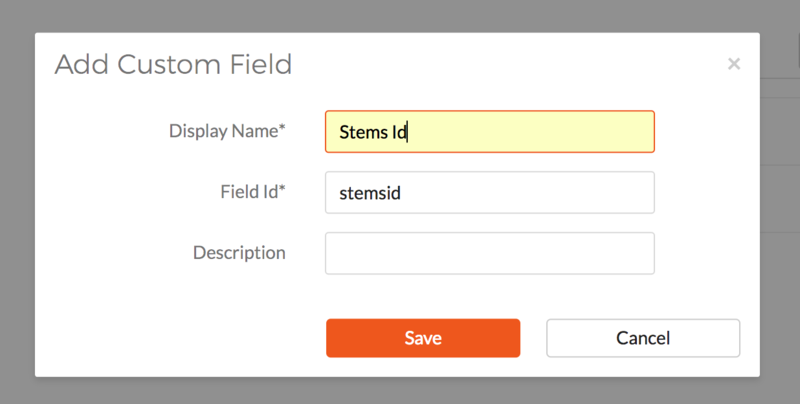 You can now use the Stems Id field on your Velpic users to associate them with their Stems system number. 12. 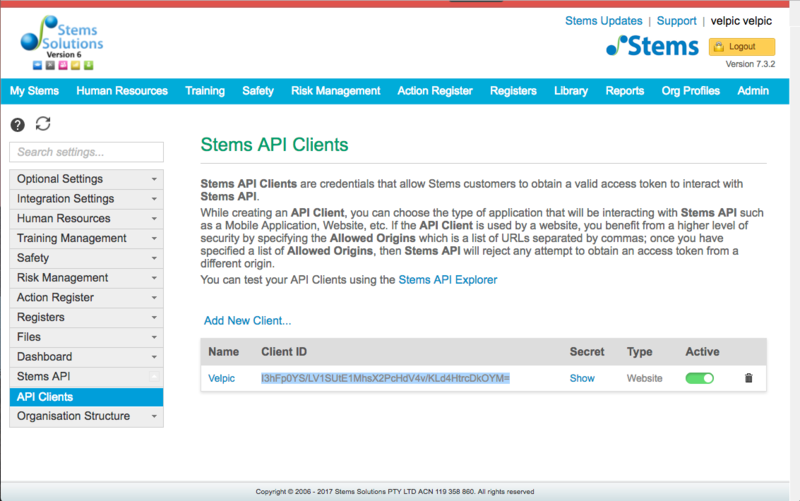 You can follow this article to import users from Stems. You will need Confirmation from the Velpic team that the setup has been complete before you can proceed with these steps. 1. 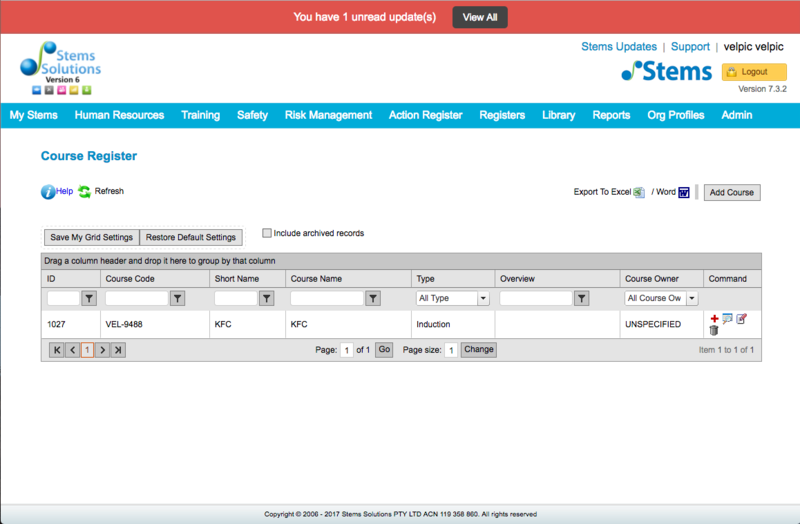 In the Stems app and click on 'Course Register' under the 'Training' tab. 2. 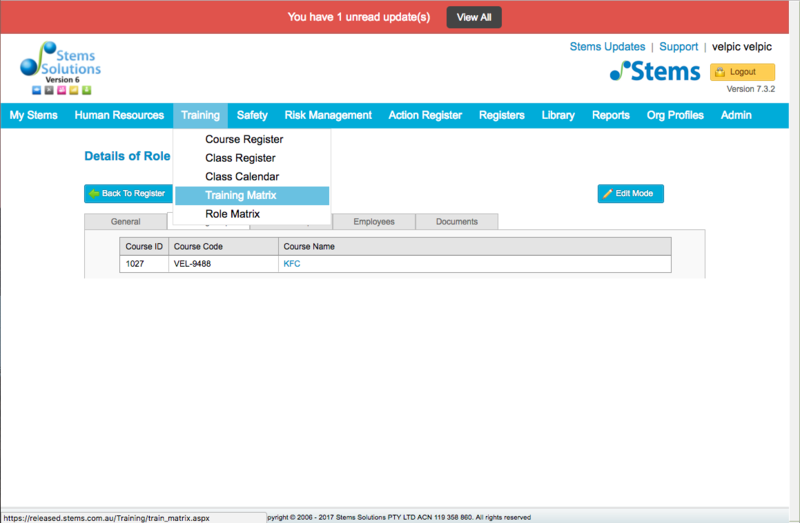 You should be able to view all the courses in your Stems account from this view. 3. 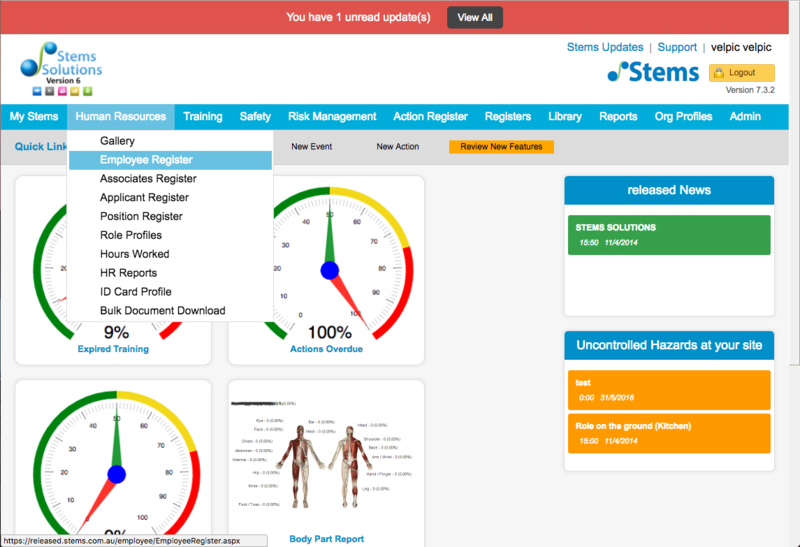 Next, schedule a lesson to a user with a Stems id. 4. In this case, the user's name was Michael Glass. 5. 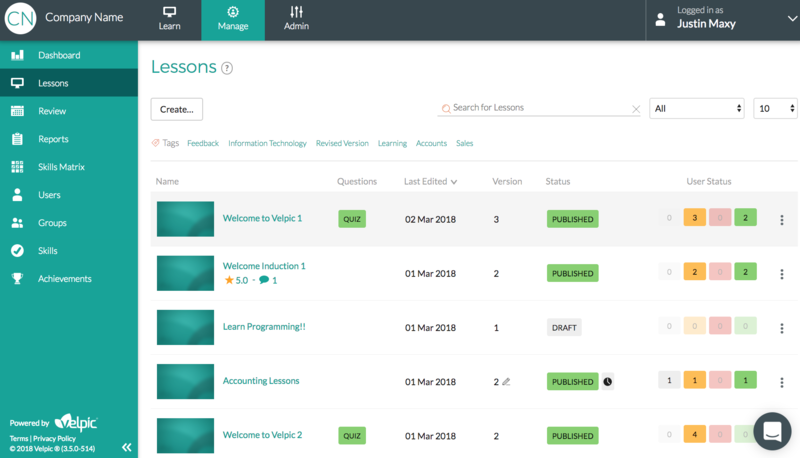 After you have scheduled the user to the lesson, wait 30 seconds then go back to the courses page in Stems, and you should see the new lesson which was created in Stems as a new course. 6. 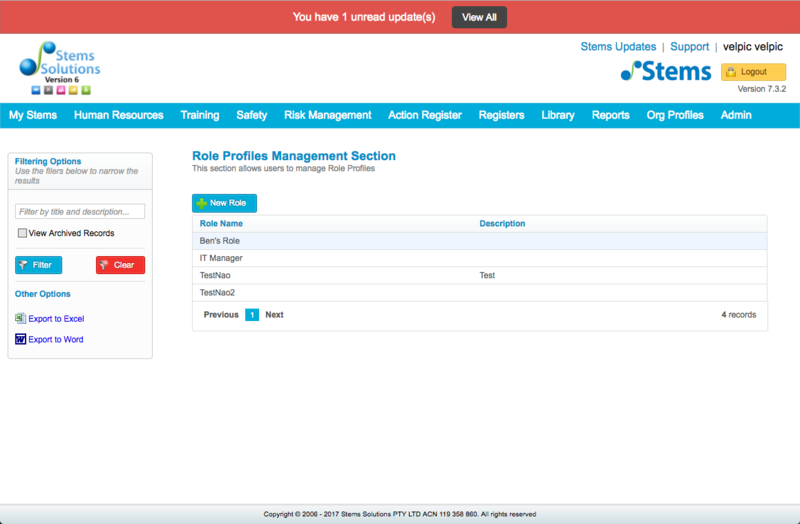 Next, click on 'Role Profiles', which is found under the 'Human Resources' tab. 7. 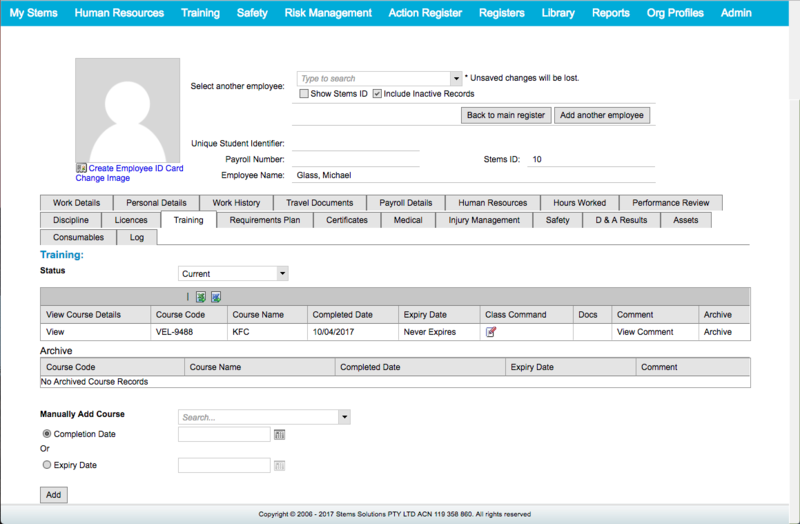 Select a role that you user/s (in this example 'Michael Glass') are assigned to. 8. 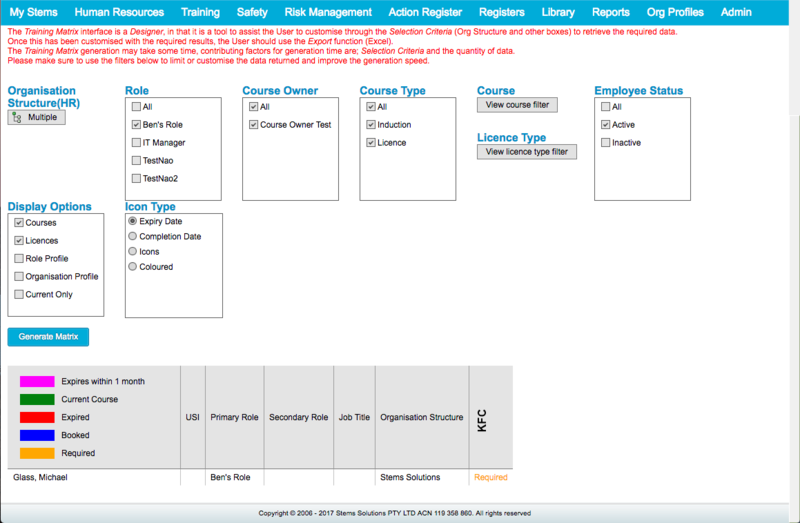 Click on the 'Training Required' tab, then click the 'Edit Mode' button. 9. 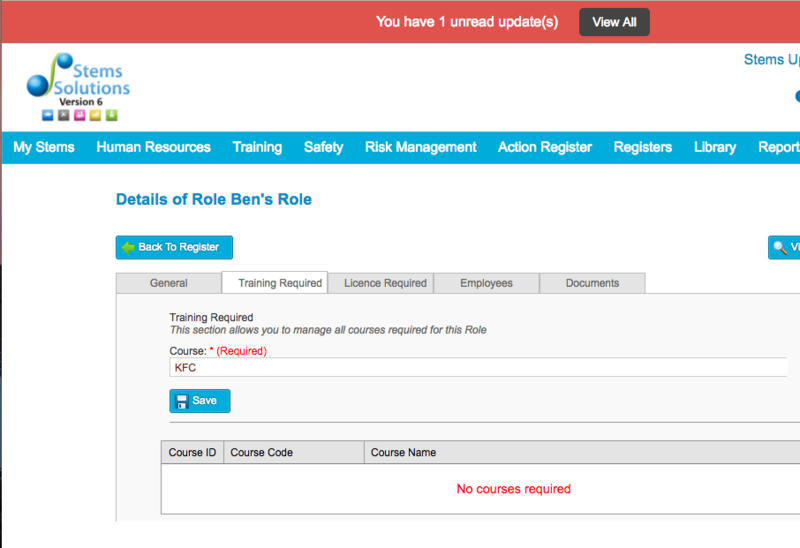 Add the new course 'KFC' to the list of required training for the role. Then click the 'Save' button. 10. 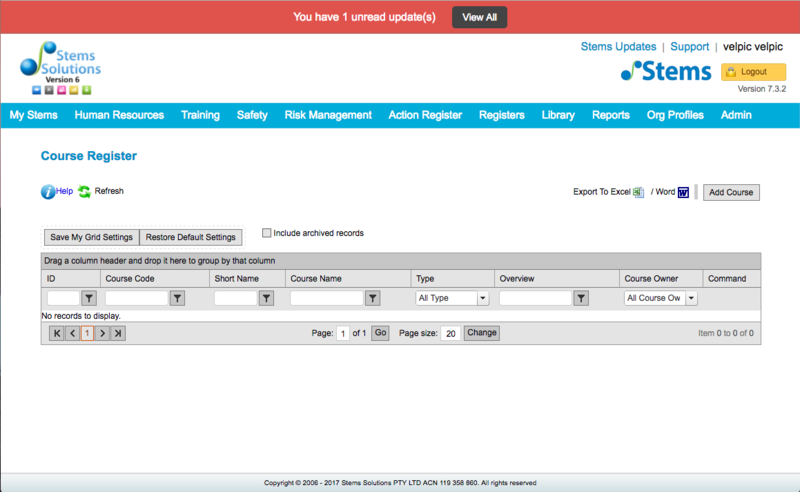 Next, click on 'Training Matrix', which is found under the 'Training' tab. 11. Select the role/s and then click 'Generate Matrix'. 12. 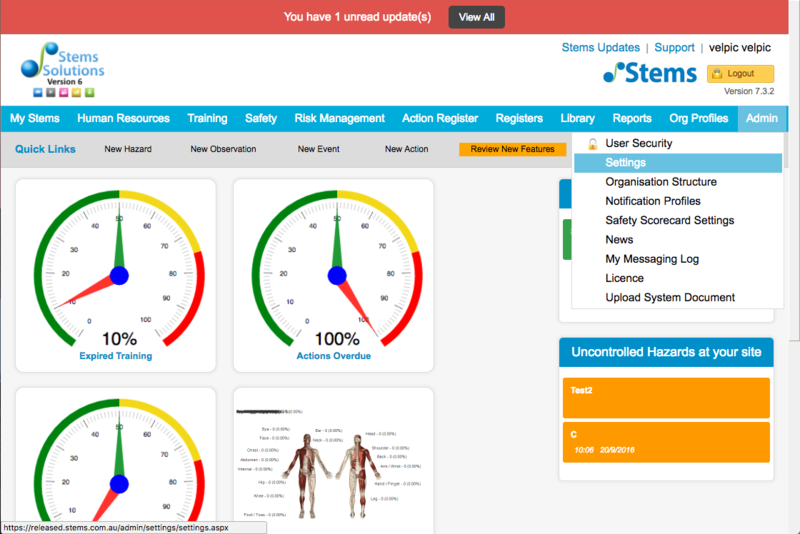 You should see the generated training matrix at the bottom of the screen. 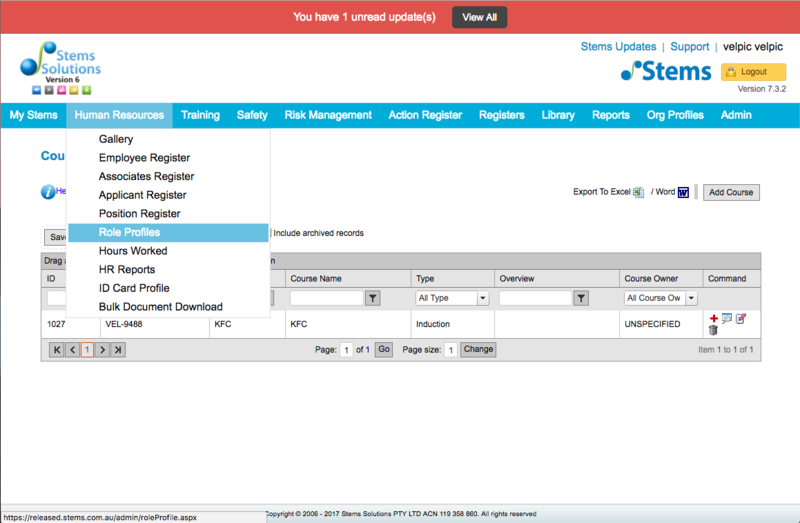 Notice that the course KFC is now showing as 'Required', as expected. 13. 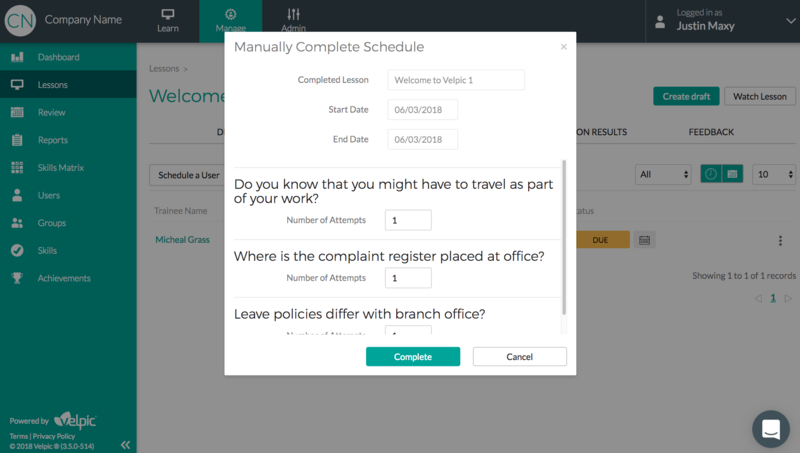 Now complete the lesson the was previously scheduled to your user. 14. In this case I am just manually completing the lesson. 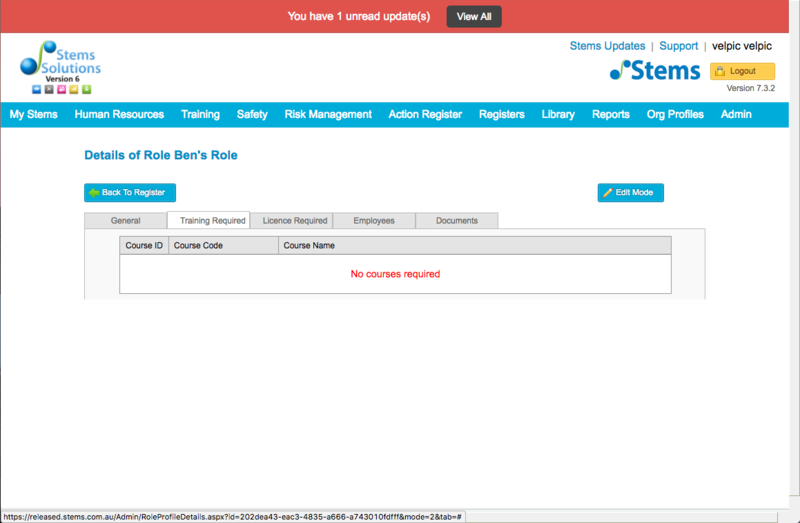 You can of course watch the lesson from the 'Learn' tab to complete it as well. 15. 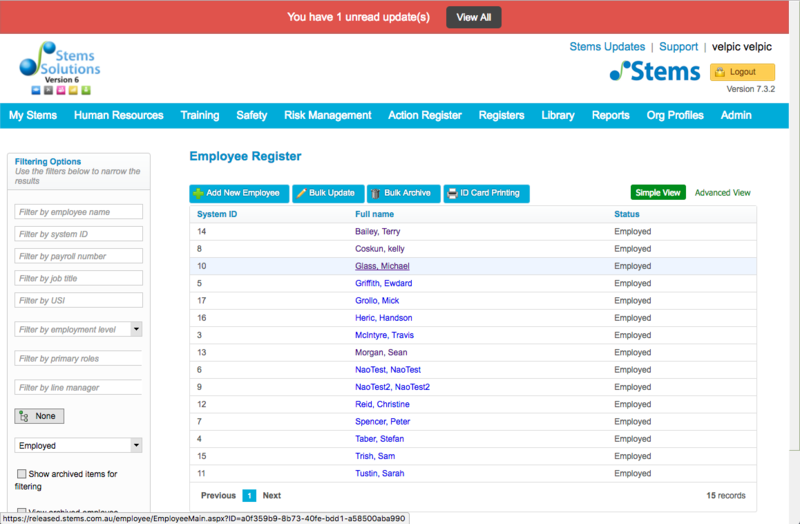 Now click on 'Employee Register' under the 'Human Resourses' tab. 16. 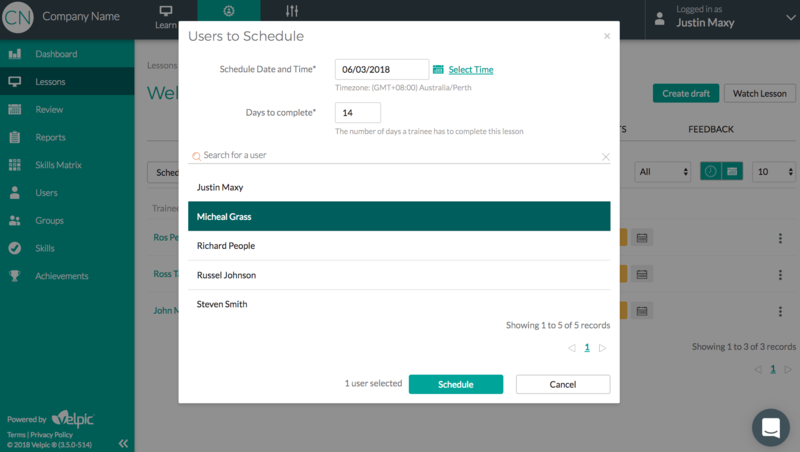 Now click on the user which was scheduled the lesson, in this case 'Michael Glass'. 17. 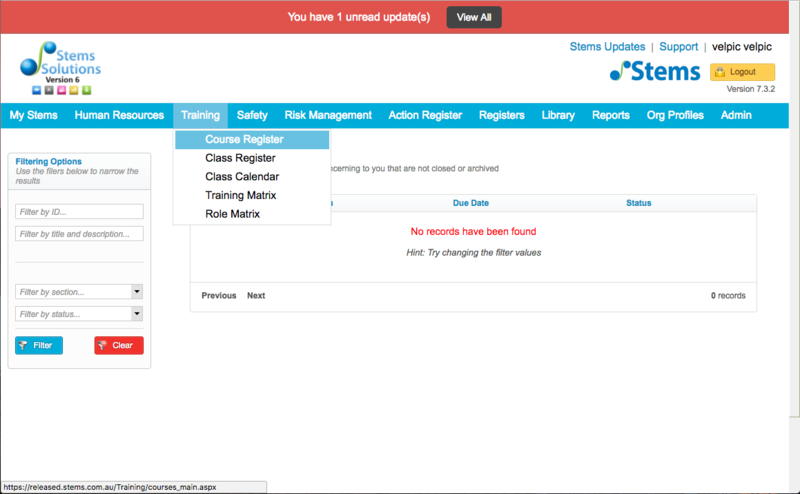 Click on the 'Training' tab and you should now see new training record assigned to the user indicating that the course has been completed by this user.